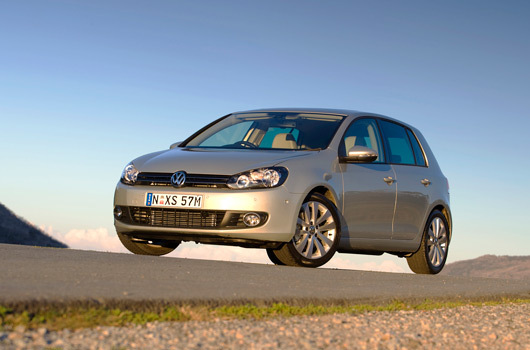 The local award rounds out a solid 2009 at the awards table for Volkswagen with the Golf claiming the World Car of the Year title, among a raft of Australian awards, as well. The new Polo was also awarded the 2010 European Car of the Year title. The sixth generation model is the first Golf since the original Mk1 model in 1976 to win the Wheels gong. Volkswagen’s Golf edged out the Toyota Prius, Skoda Superb and Mercedes-Benz E-Class sedan after judges cut the original 22-car field down to a final four. UPDATE: Volkswagen’s PR machine is on the case and their press release can be viewed after the jump. Anke Koeckler, Volkswagen Group Australia managing director is naturally keen to promote the Golf as best-in-class, “The Golf’s selection as Wheels Car of the Year is the crowning achievement of an extraordinary year for the new Golf after already being named ‘Best Mid size car over $30,000’ by Australia’s Best Car Award and winning the 2009 Cars Guide Car of the Year and 2009 DRIVE Car of the Year awards. If you have a modicum of common sense you will have missed the live announcement on the abominable A Current Affair last night. The edited clip featuring just the Wheels COTY segment can now be seen at ninemsn video. 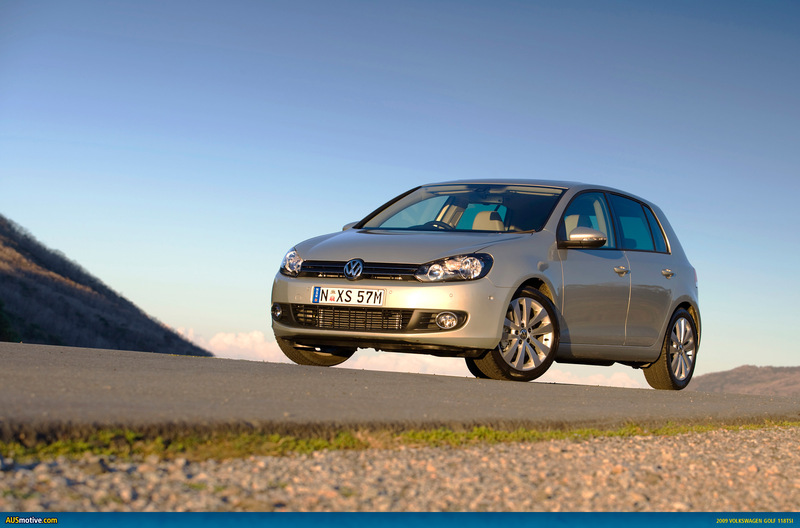 Volkswagen’s Golf has been awarded the 2009 Wheels Car of the Year. The multi-award winning Golf has outclassed a field of 22 cars to collect what is widely considered to be Australia’s most coveted award. To have been selected for this award, the Golf had to impress eight judges over an extensive week of testing. Wheels magazine editor, Ged Bulmer, said: “The turbo-charged, five-door hatch Volkswagen range is outstanding. “The Golf oozes sophistication, refinement and development – in an energetic package that comes with fundamentally good steering and balance,” he said. Volkswagen last won the Wheels Car of the Year in 1976, also for the Golf. While two years earlier Volkswagen collected the award with the Passat. Volkswagen Group Australia managing director, Anke Koeckler, said: “I am very pleased to have received such a prestigious award for the Golf. “The Golf’s selection as Wheels Car of the Year is the crowning achievement of an extraordinary year for the new Golf after already being named ‘Best Mid size car over $30,000’ by Australia’s Best Car Award and winning the 2009 Cars Guide Car of the Year and 2009 DRIVE Car of the Year awards. “Winning the Wheels Car of the Year is proof the new Golf is at the pinnacle of automotive design and engineering yet is still attainable, a winning combination obviously,” said Ms Koeckler. Volkswagen launched the Golf in 1974, it was built in Australia until 1977 before being replaced with a fully imported model from Germany. Now in its sixth generation, the Golf continues to hold universal appeal thanks to its original, unique and timeless design which creates a vehicle that is class-free. The Golf, a perennial favourite in the Volkswagen line-up, has sold more than 26 million units in 120 countries, making it one of the top selling vehicles of all-time. The golf is the new commondore and falcown. Still slow, and silver… but less retirees driving them than the mk5 and mk6… now its just P platers driving the $10k mk4s-so instantly i feel younger. The Golf VI is awesome. Looks nicer than the V and is another solid evolution of the Golf story. Just a shame there seems to be a few issues with the 118TSI that I’ve read about on some forums. Wheels have picked the most boring microwave available……..for mine I would have picked something technically interesting, and visually exciting like the Ford Focus RS. Anyhow, did the whole Golf range win the award, or just the GTI or R versions??? Yes, the whole Golf range won the award and it happened 12 months ago.